Police say they have recovered a body near Cave Point Park on March 20, 2019. Door County Sheriff’s Office photo. 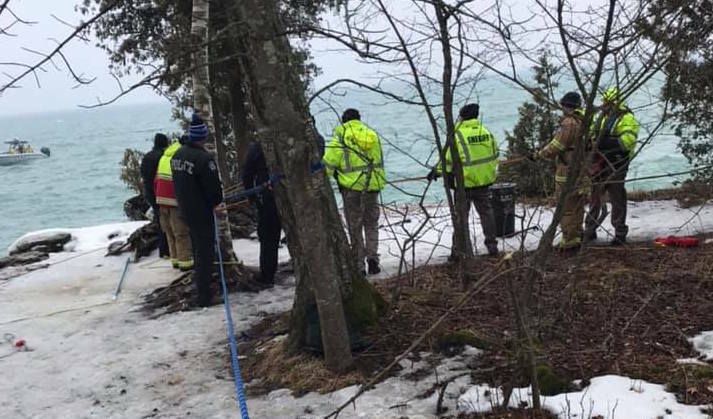 JACKSONPORT TOWNSHIP — A body has been recovered from Lake Michigan at Cave Point County Park where a man was reported missing a month ago, according to the Door County Sheriff’s Office. The sheriff’s office said last month that Eric Richter, 57, of Neenah called his wife the evening of Feb. 10 to say he was going to stop at the park to take some photos on his way home from Jacksonport. Richter’s car was found in the park’s parking lot that night, and items that belonged to him were found near a cliff in the park along the Lake Michigan shoreline, which had become icy and slippery because of winter conditions, according to the sheriff’s office. The sheriff’s office is expected to release more information Thursday.